We recently hosted Ewa and Marek Wojciechowski for eight beautiful days. 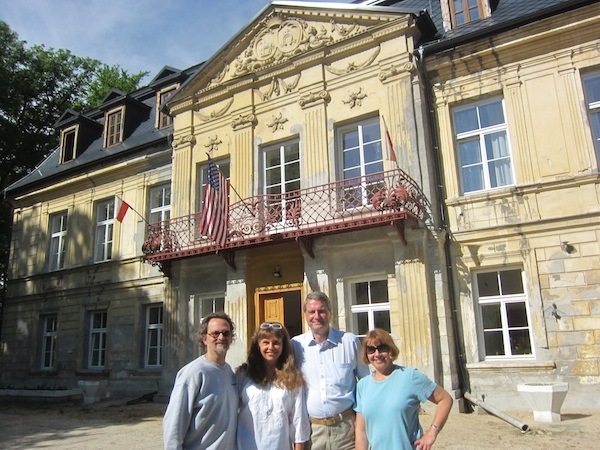 They are the dedicated creators and authors of tripsoverpoland.eu, a beautiful idea: They travel around documenting Polish manor houses, palaces, castles and other historical artifacts. We don’t believe there is a more extensive compilation of such information anywhere on the internet. Now we are honored to be included in their vast archive of the beautiful old places in this country. See our entry, which includes a short film. We have also hosted guests from Kraków, Częstochowa, Warsaw, New Jersey and Pennsylvania this month. It’s been busy.